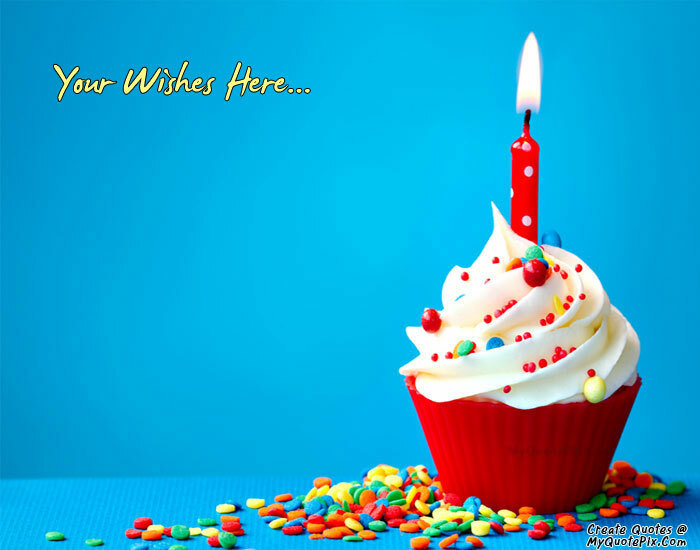 Write quotes, poetry, messages, stories, love letters, aspirations, notes or any other long text on Wish Birthday With Cupcake picture from the Wishes category by using this quote design maker. You can share this Wishes quote on your blog and social media. Share this quote design maker with your friends. Wishing you happiness To welcome each morning,Wishing you laughter,To make your heart sing.Wishing you friendship,Sharing and caring,And all of the joy,The birthday can bring. Wishing my friend a beautiful day Hopes and dreams I am sending your way May all be good and all come true On this very special day for you. You are such a special friend, Who deserves a special day, For being who you are and Bringing joy in every way. You make me smile and laugh, with everything you do, So today I get to send A special Birthday wish to you.